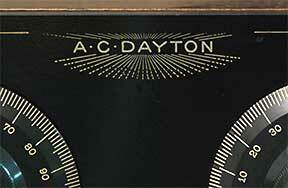 Built By: AC Dayton Co. 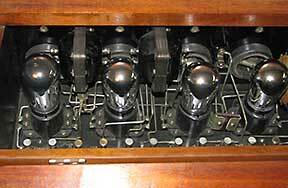 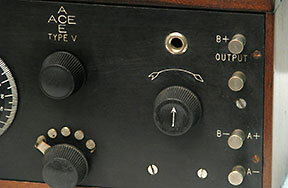 Built By: The Precision Equipment Co.
A different view of the Ace 3B. 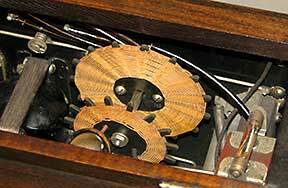 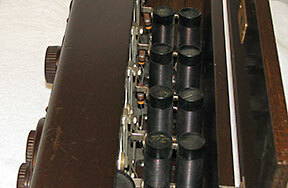 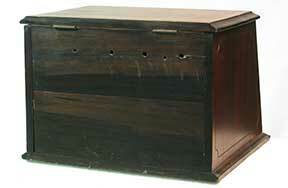 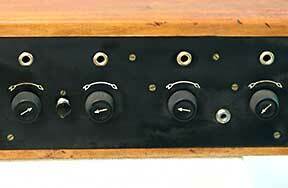 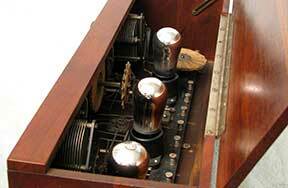 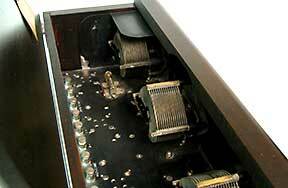 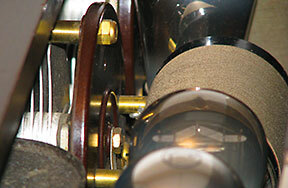 Notice the three peep-holes in the front panel used to observe the tube filaments. 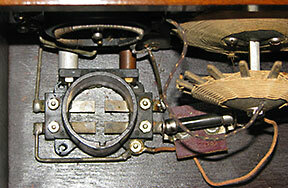 Another look at the inside of the radio. 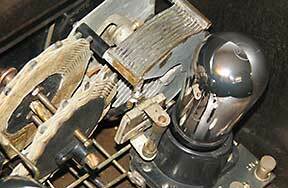 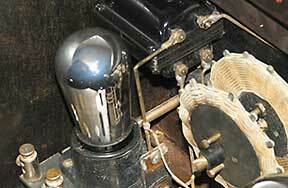 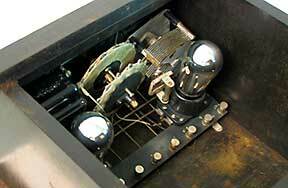 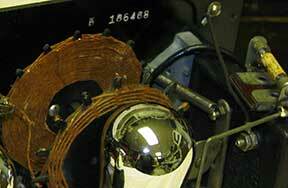 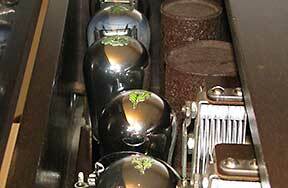 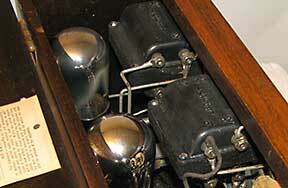 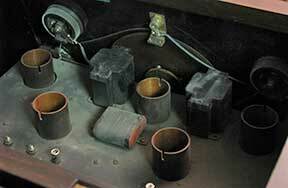 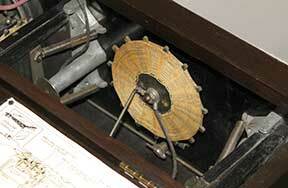 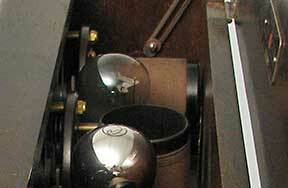 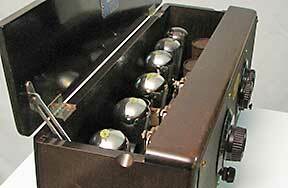 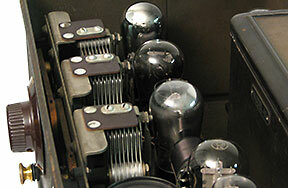 This shows one of the interstage transformers. 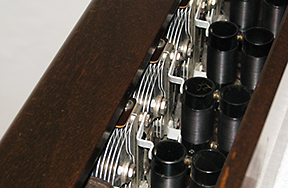 The regeneration and tuning mechanisms. 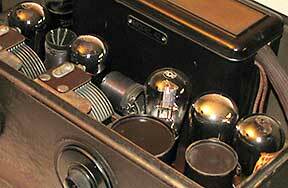 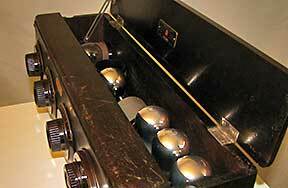 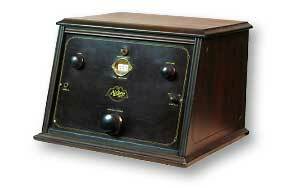 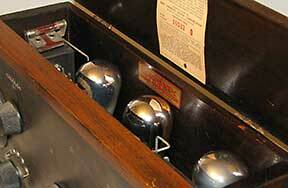 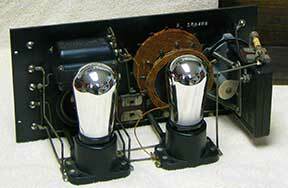 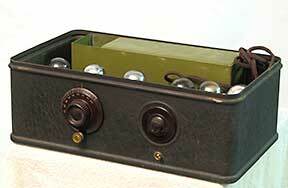 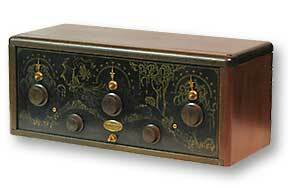 This is a cool one-tube radio mady by Powell Crosley. 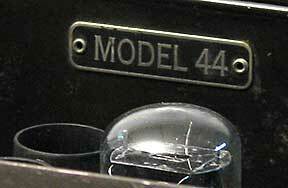 Currently in restoration - returning soon! 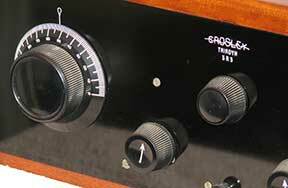 Built By: Precision Products Co. 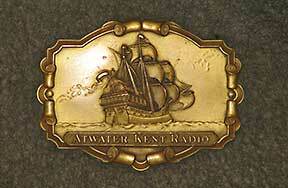 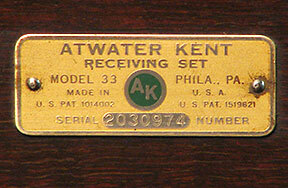 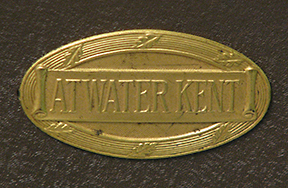 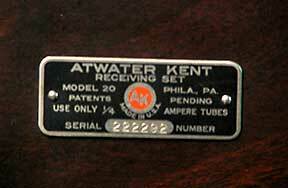 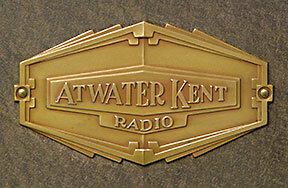 Built By: Atwater Kent Manufacturing Co. 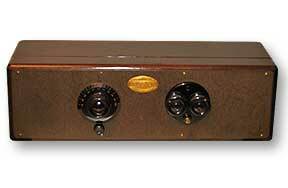 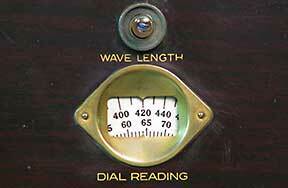 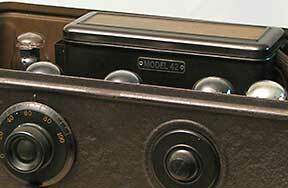 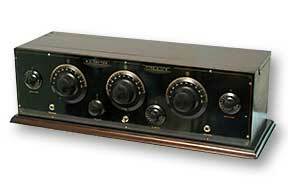 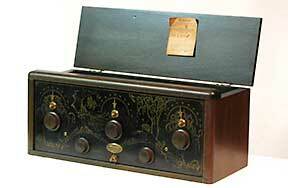 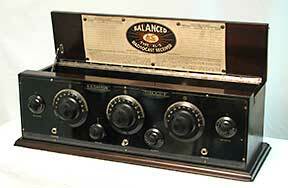 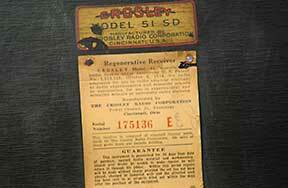 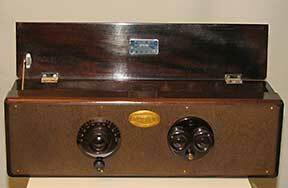 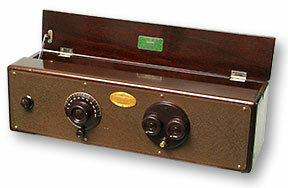 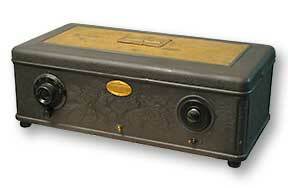 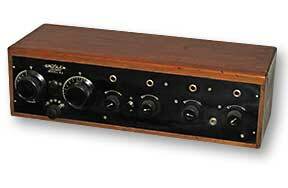 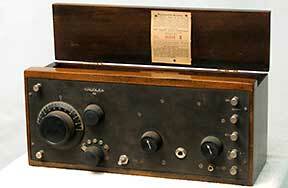 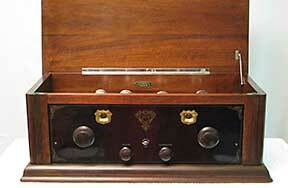 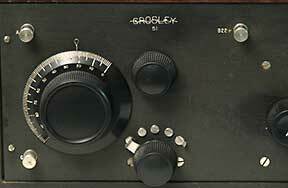 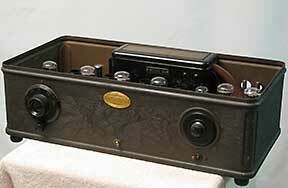 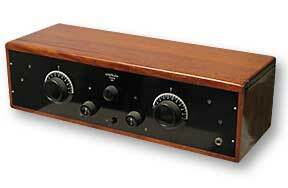 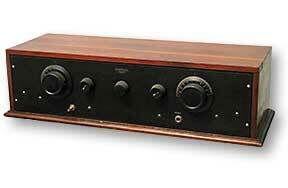 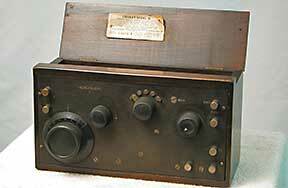 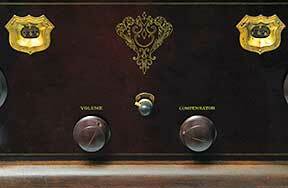 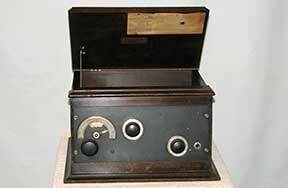 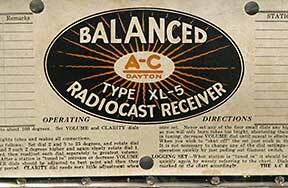 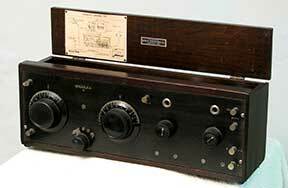 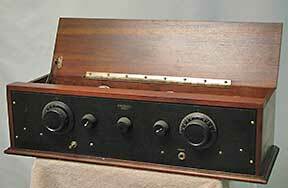 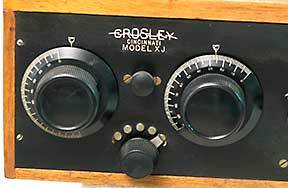 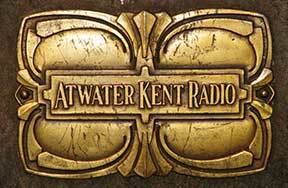 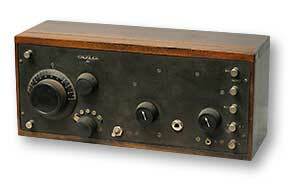 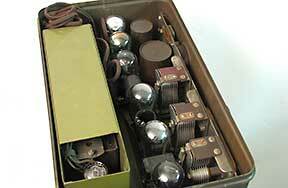 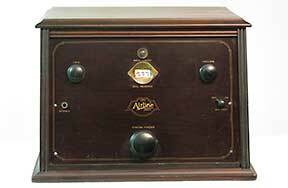 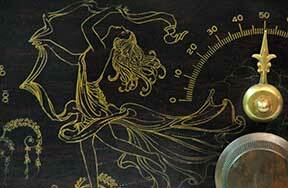 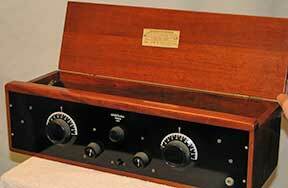 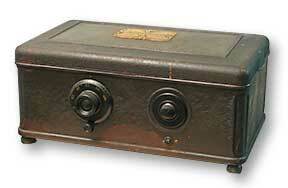 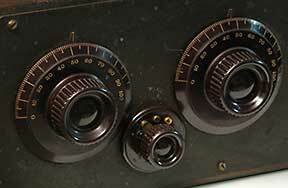 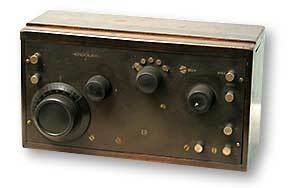 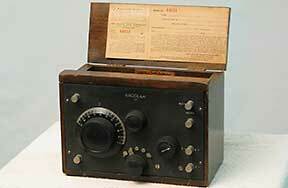 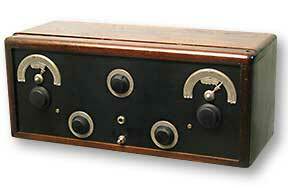 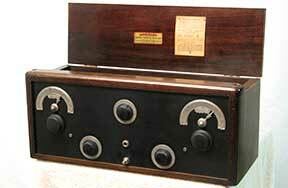 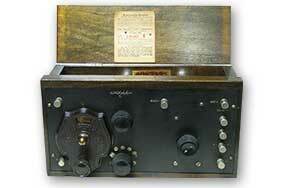 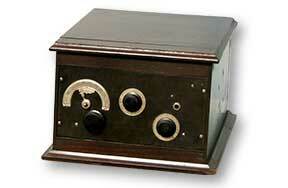 This radio is in almost pristine condition and is a fantastic example of this radio. 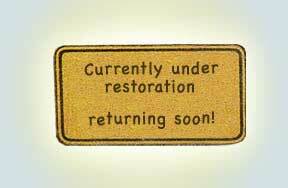 Currently in restoration - returning soon! 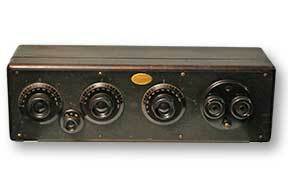 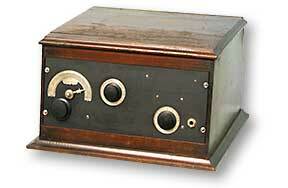 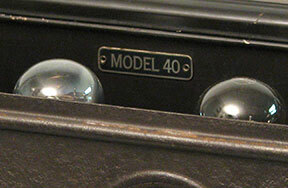 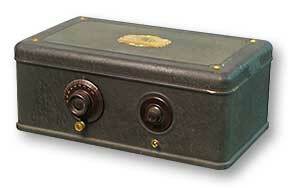 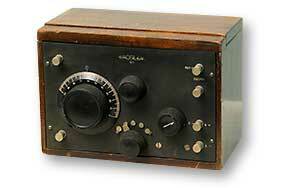 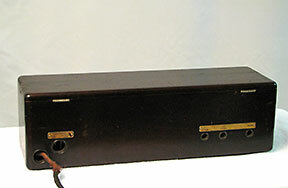 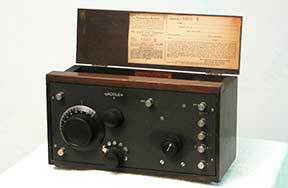 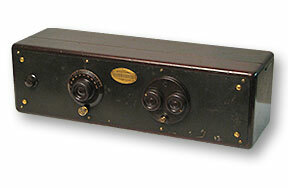 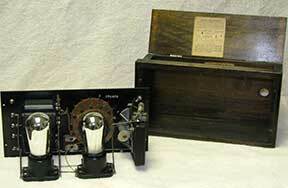 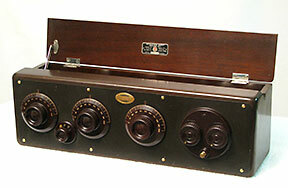 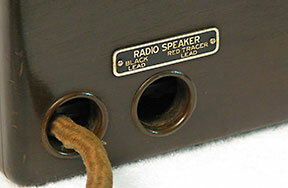 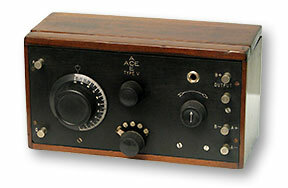 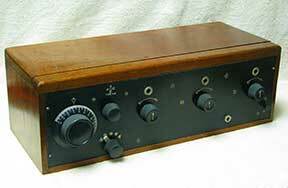 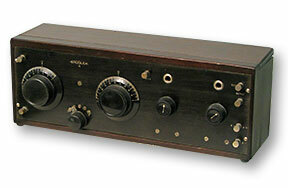 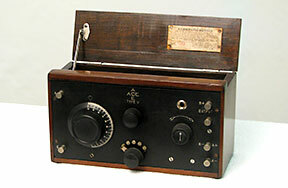 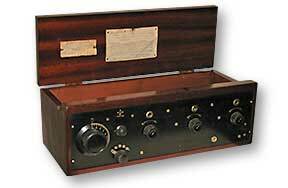 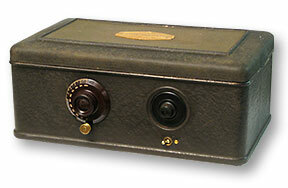 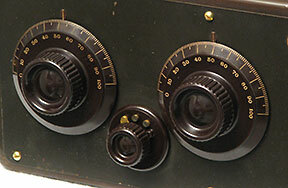 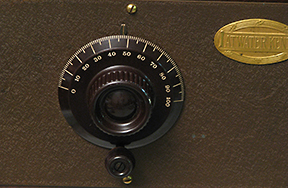 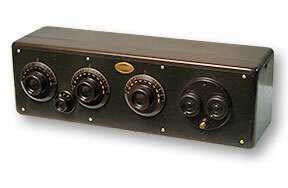 This radio appears in radiomuseum.org. 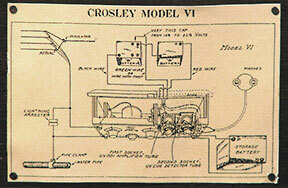 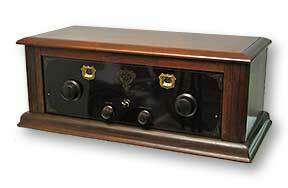 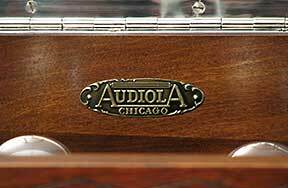 Built By: The Crosley Manufacturing Co. 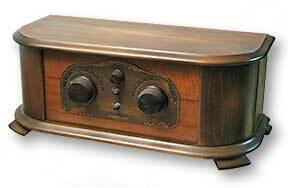 The Crosley 51 is a cool little two-tube radio. 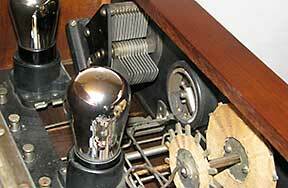 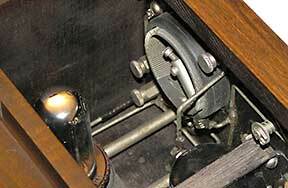 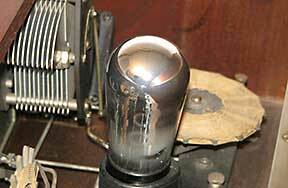 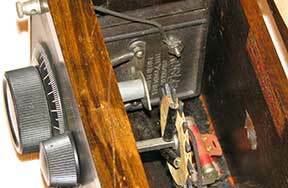 The center knob pulls in and out to operate the radio. 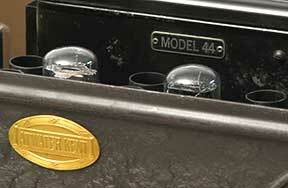 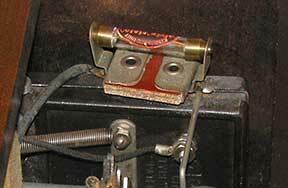 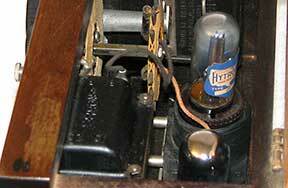 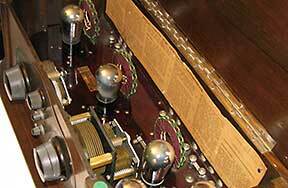 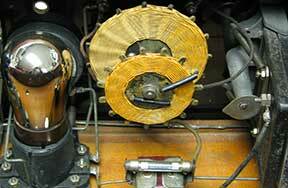 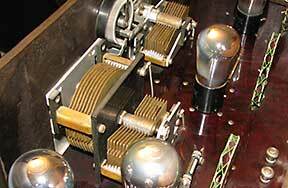 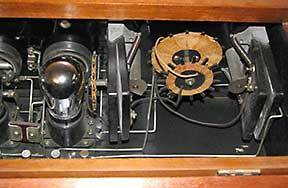 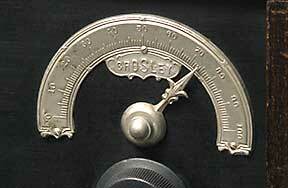 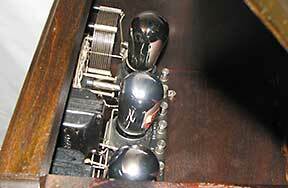 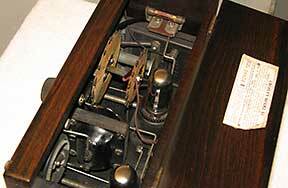 This 51 had been upgraded in the past with the addition of the vernier tuning apparatus. 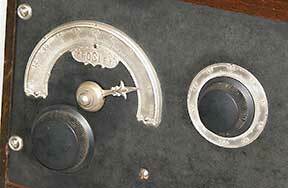 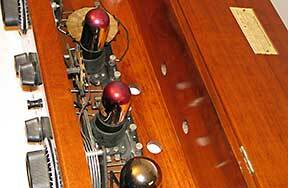 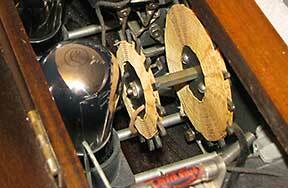 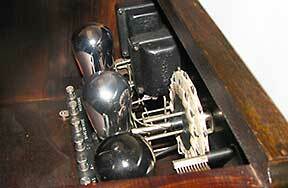 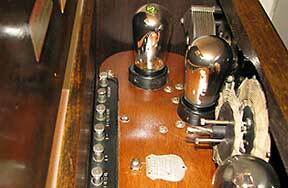 The original knob was a little tricky to control! 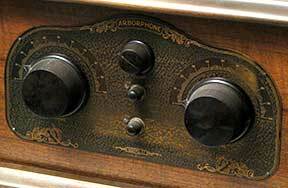 This radio is at my father's house. 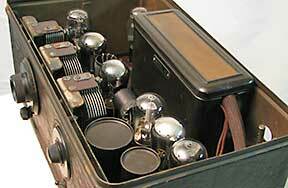 Here is a look at the insides of this radio. 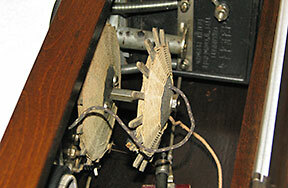 As you can see it is in mint condition. 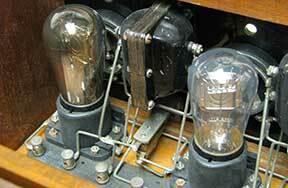 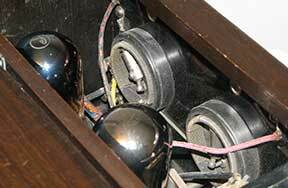 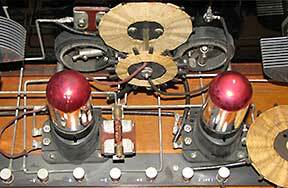 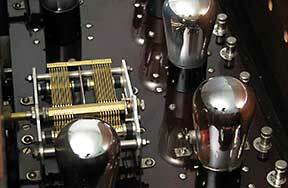 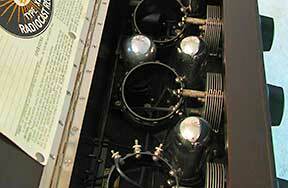 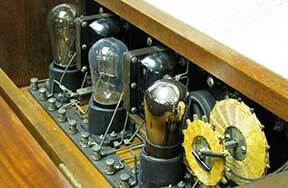 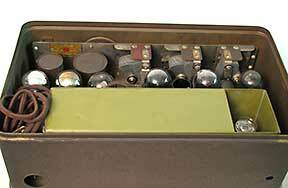 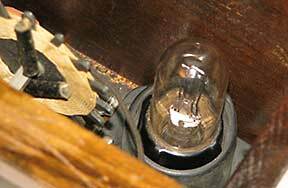 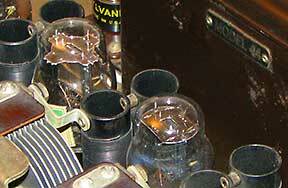 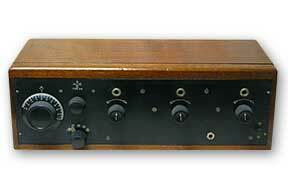 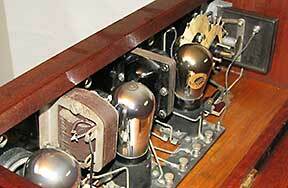 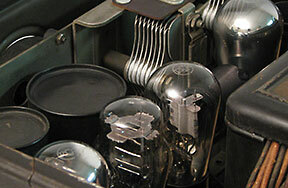 The tubes are Cunningham 301-A's. 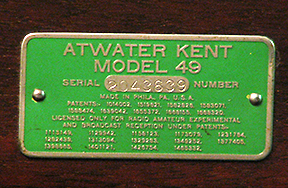 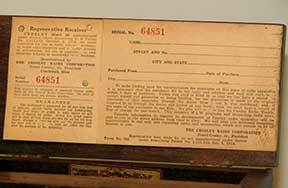 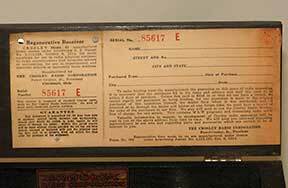 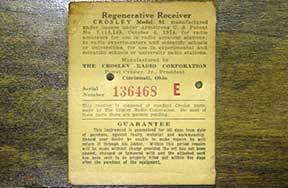 A close-up of the warrantee card found on the inside lid. 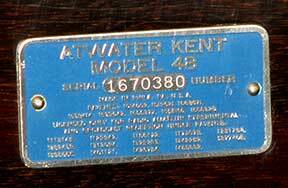 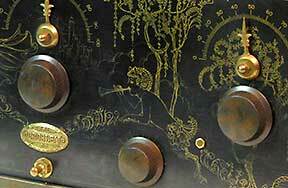 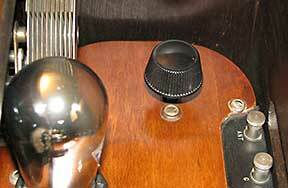 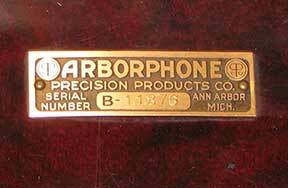 Here is a close-up of the serial number inside the bakelite faceplate as well as the tuning and regeneration mechanisms.